Best Place Stay Taksim Faikpasha Hotels. Me and my boyfriend have been at Faik Pasha’s in december. And we understood it was a very good choice as soon as we met the receptionist. We had a well decorated. Clean and spacious room with a little terrace. The hotel is in the very center of Istanbul night life. But in a small quiet street: by 10 minutes walk you can reach Istiklal Caddesi or the bus stop to the old city. Every single person at the hotel was nice. Helpful and friendly at any time. Special mention to the breakfast: made of natural products from the countryside. it was full of delightful food for any taste sweet or not. and it was served in a living room like hall. It has a small hammam inside. We loved it, we couldn’t have made a better choice. 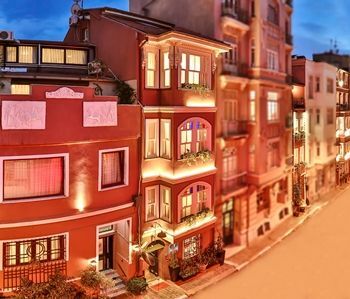 Best Place Stay Taksim Faikpasha Hotels.